Ready-to-use insecticidal powder. A permetherin based powder of low mammalian toxicity, combining rapid knockdown and kill with sustained residual activity. Handy 750ml sprinkler pack and 4kg refills. 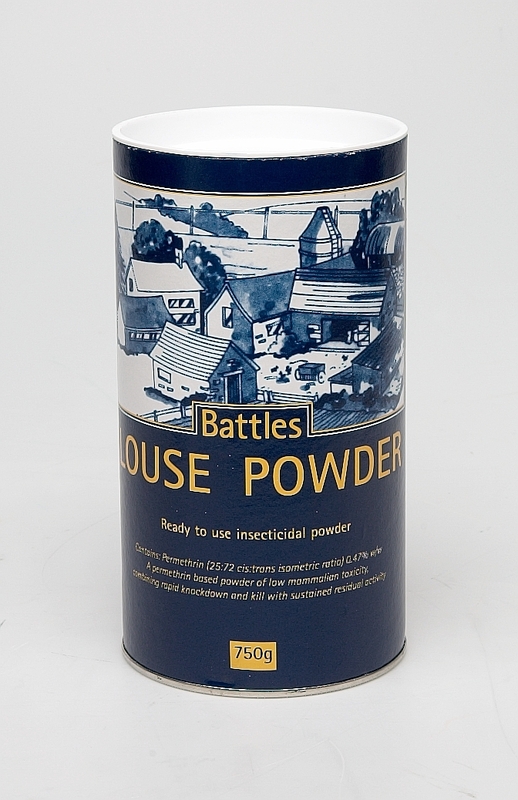 Below are some recent questions we've received regarding Battles Louse Powder, including answers from our team. Hello, I have mites in a couple of bags of coarse mix for young cattle and am wondering if this powder could be added in a small amount to curtail their progress? As far as I understand Pyrethrum is not toxic to livestock so if this is unsuitable then is there another product to consider? Thanks. Personally I would not add this to cattle feed, though you are right that it is supposed to be none toxic. It is good to clean up the feed store generally and use permethrin powder in the area generally to prevent contamination spreading. You need to keep the food cool and dry if possible - infestation with mites and the like tends to be in slightly damp feed. Commercially feed can be treated with gases which dissipate quickly after the mites are killed, but that is not practicable on a small scale. Can I use this on my horse? I have washed my horse with dermoline shampoo and been advised to use louse powder with permethrin on my horse kill any remaining lice - can I apply this to my horses coat / skin? 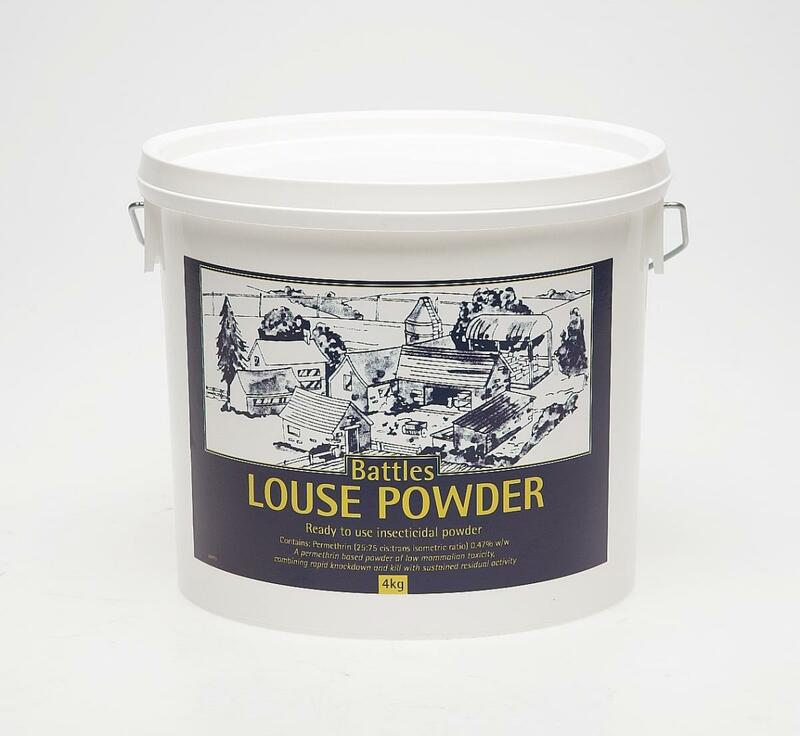 Battles Louse Powder is a perfect choice and should be very suitable for use on your horse. Lice can be difficult to eradicate completely, so periodic use is recommended.